An asset class is a group of similar investments. Different classes, or types, of investment assets – such as fixed income investmentsFixed Income Bond TermsDefinitions for the most common bond and fixed income terms. Annuity, perpetuity, coupon rate, covariance, current yield, par value, yield to maturity. etc. The Corporate Finance Institute offers a complete education in finance and financial analysis. – are grouped together based on having a similar financial structure, and because they are typically traded in the same financial markets and subject to the same rules and regulations. Stocks or equities – Equities are shares of ownership that are issued by publicly-traded companies and traded on stock exchanges, such as the NYSE or Nasdaq. You can potentially profit from equities either through a rise in the share price or by receiving dividends. The asset class of equities is often subdivided by market capitalizationMarket CapitalizationMarket Capitalization (Market Cap) is the most recent market value of a company’s outstanding shares. Market Cap is equal to the current share price multiplied by the number of shares outstanding. The investing community often uses the market capitalization value to rank companies into small cap, mid cap, and large cap stocks. Bonds or other fixed income investments – Fixed-income investments are investments in debt securities that pay a fixed rate of return in the form of interest. While not all fixed income investments offer a specific guaranteed return, such investments are generally considered to be less risky than investing in equities or other asset classes. Cash or cash equivalents, such as money market funds – The primary advantage of cash or cash equivalent investments is their liquidity. Money held in the form of cash or cash equivalents can be quickly and easily accessed at any time. Real estate or other tangible assets – Real estate and other physical assets are considered as an asset class that offers protection against inflation. The tangible nature of such assets also leads to them being considered as more of a “real” asset, as compared to assets that exist only in the form of financial instruments. Futures and other financial derivatives – This category includes futures contracts, the forex market, options, and an expanding array of financial derivatives, i.e., financial instruments that are based on, or derived from, an underlying asset. For example, stock options are a derivative of the underlying stocks. It’s difficult to classify some assets. For example, suppose you’re investing in stock market futures. Should those be classified with equities, since they’re essentially an investment in the stock market, or with futures, since they’re futures? Gold and silver are tangible assets, but are most frequently traded in the form of commodity futures or options, which are financial derivatives. If you invest in a real estate investment trust (REIT)Real Estate Investment Trust (REIT)A real estate investment trust (REIT) is an investment fund or security that engages in income-generating real estate properties. The fund is operated and owned by a company of shareholders who contribute money to invest in commercial properties, such as office and apartment buildings, should that be considered an investment in tangible assets or as an equity investment since REITs are exchange-traded securities? An expansion in available investments also creates complications. Exchange-traded funds (ETFs), for example, are traded like stocks on equity exchanges, but ETFs may be composed of investments from one or more of the five basic asset classes. An ETF that offers exposure to the gold market may be partly composed of investments in physical gold bullion and partly composed of stock shares of gold mining companies. Assets may also be categorized by location. Investors and market analysts often view investments in domestic securities, foreign or international investments, and investments in emerging markets as different categories of assets. There are additional asset classes, such as artwork, various other collectibles, and peer to peer lending. Hedge funds and other sources of venture capital, along with markets that trade things such as Bitcoin and other alternative currencies, represent some other asset classes that are a bit more off the beaten path. Sometimes these investments are classified together under the heading of “alternative investments”. Generally speaking, the more “alternative” an investment is, the less liquid and the more risky it tends to be. Good news! – You don’t really have to know for certain which asset class a specific investment falls into. You just need to understand the basic concept that there are broad, general categories of investments. That fact is important because of the concept of diversification. Diversification is the idea that you can reduce the overall risk level of your investment portfolio by spreading your investments across different asset classes. There is usually little correlation, or an inverse or negative correlationNegative CorrelationA negative correlation is a relationship between two variables that move in opposite directions. In other words, when variable A increases, variable B decreases. A negative correlation is also known as an inverse correlation. See examples, charts and, between different asset classes. During periods of time when equities are performing well, bonds, real estate, and commodities may not be performing well for investors. However, during a bear market in stocks, other assets, such as real estate or bonds, may be showing investors above average returns. You can hedge your investments in one asset class, reducing your risk exposure, by simultaneously holding investments in other asset classes. 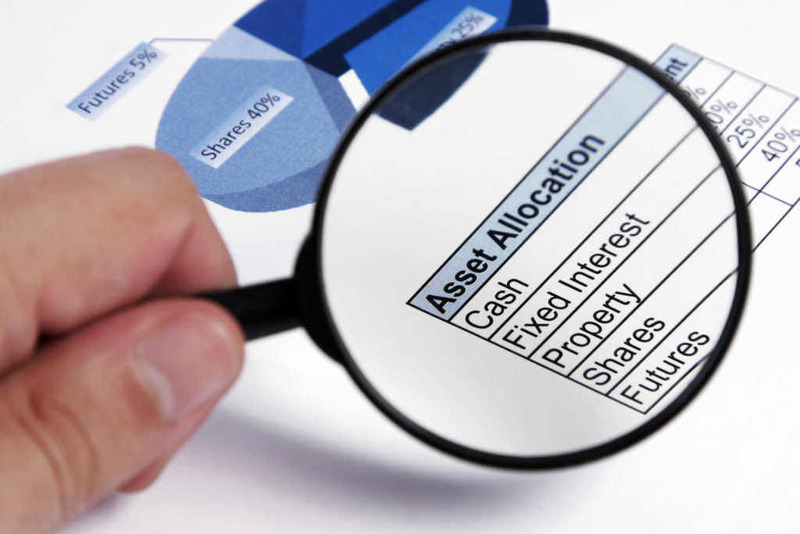 The practice of reducing investment portfolio risk by diversifying your investments across different asset classes is referred to as asset allocation. The other reason to have a basic understanding of asset classes is just to help you recognize the nature of various investments that you may choose to trade. For example, you might choose to devote all, or nearly all, of your investment capital to trading futures or other financial derivatives such as foreign currency exchange (forex). But if you do, you ought to at least be aware that you have chosen to trade a class of assets that is usually considered to carry significantly more risk than bonds or equities. The extent to which you choose to employ asset allocation as a means of diversification is going to be an individual decision that is guided by your personal investment goals and your risk tolerance. If you’re very risk averse – have an extremely low risk tolerance – then you may want to invest only in the relatively safe asset class of fixed income investments. Alternately, you may aim to further diversify within an asset class – such as by holding a selection of large cap, mid cap, and small cap stocks, or by investing in various industry sectors of the stock market. On the other hand, if you’re blessed with a high risk tolerance and/or having money to burn, you may care very little about diversification, being more focused on trying to correctly identify the asset class that currently offers the highest potential profits. Investing for beginners guideInvesting: A Beginner's GuideCFI's Investing for Beginners guide will teach you the basics of investing and how to get started. Learn about different strategies and techniques for trading, and about the different financial markets that you can invest in.